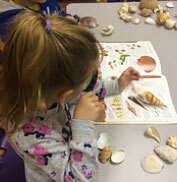 Our philosophy at Purple ‘Potamus Preschool is to create dynamic and welcoming environments that are interesting to Explore, Challenging to the Intellect, Beautiful to the Eyes and Sensory rich to texture, taste, touch, and smell. Our program has both self-directed and teacher-directed activities that are designed to develop and enhance your child’s senses, in turn building the confidence your child needs for lifelong learning and self-growth. Each child is respected as an individual and our program plans are tailored to reflect their needs and concerns. We believe that children learn best by being actively involved in their own learning through a variety of hands on activities. These activities are meaningful for the children ,appropriate for each child’s developmental level and are designed to allow each child to progress at his or her own pace. We believe that self-esteem is the foundation upon which all-learning rests. If children feel safe, they can take risks, ask questions, make mistakes, and learn to trust and share their feelings. We believe that each child is unique and holds special talents and wondrous gifts. Provide a safe, caring, hygienic, healthy, happy, stable and educational environment that stimulates growth and development. 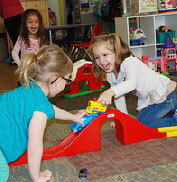 Provide a quality facility suitable for the functions and demands of childcare and preschool learning. Focus on the well being and self worth of each child by encouraging, supporting, and providing numerous opportunities for the enhancement of each child's spirit. We celebrate their individuality by offering diverse range of activities and projects that will enhance their physical, emotional, intellectual, social and cognitive abilities. Nurture and train our staff to enable them to care for your children with utmost passion and sincerity. Respect every individual and cultural differences. Activities, structured and unstructured, cognitive and creative, for fun and for laughter – all designed to make your child’s learning a fun experience!